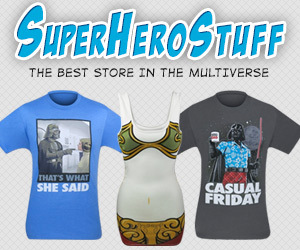 When it comes to geeky t-shirts, it seems like Doctor Who is taking over my closet. I think I now have more Doctor Who shirts than Battlestar Galactica which I never imagined would happen. 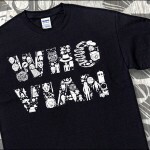 But, as long as those daily deal t-shirt sites are selling awesome Doctor Who shirts for $10, I will keep buying them! Speaking of $10 Doctor Who shirts, it looks like my collection is about to grow one more with the awesome shirt design below! 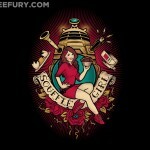 The fantastic folks over at TeeFury are selling this great “We were framed” Doctor Who T-shirt for $10 today only! 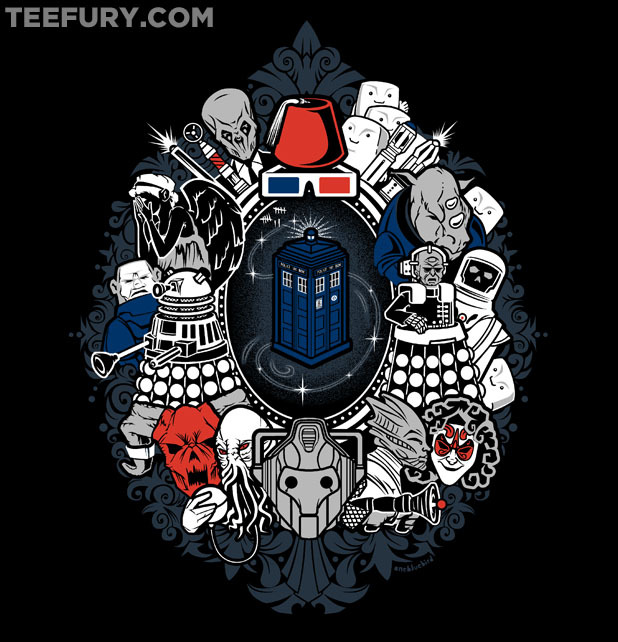 This shirt features the TARDIS framed inside many of the iconic Doctor Who bad guys such as the Dalek, Cybermen, Weeping Angels, the Ood and many more! That is a fantastic deal on such an awesome shirt and while it may only cost $10, they are a high quality shirt (most of my shirts have come from them) so you can buy with confidence! Hurry up and get this shirt before its gone! 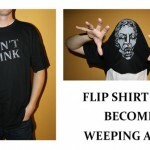 This would also make a great Christmas gift for any Whovian you know!